Please press ‘PLAY’ to hear a short message from Archbishop Peter Smith. The priests of our diocese who are sick and no longer in active ministry need and deserve our care and assistance. This site outlines Southwark Diocese’ Clergy Support Fund Campaign and how you can lend your help to those who have spent their lives caring for others. Whether you have been a Catholic since birth or joined the church in later life, you will probably have memories of priests who are now retired. You may remember, for example, one who shared the joy of your wedding day with you, helped your family through a difficult time, or one who supported and gave you strength to cope at the time you lost a close relative. It is a misconception to think that retirement means no longer being a priest or withdrawing from ministry. Very often it means a less busy lifestyle than in full-time parish work. Our priests have walked alongside us on our journey of faith and are still part of it when they retire. Many are able to offer a listening ear, some form of pastoral ministry or continue to assist in busy parishes. The Clergy Support Fund Campaign is an opportunity for us to show our support and to remember our retired priests are still part of our family of the church. As with relatives in our own families, they need support and practical assistance as they face an important new chapter in their lives. This has been highlighted in Mass for the last couple of weeks, towards presentations to outline the need. Can you provide details of how to donate? I don’t think its necessary to attend a presentation when the need is already apparent. Thank you for your enquiry and interest in supporting the sick and retired clergy of our Diocese. We would prefer to offer the full details of the Campaign to parishioners so that they can make a fully informed decision about supporting the Campaign. However, if you wish to donate, you can download giving forms on the DONATE page of this website. Alternatively, please telephone me on 020 7960 2525 and I will arrange to send you an Information Pack complete with giving forms and a Freepost envelope. I was rather shocked to read that we do not have sufficient funds to care for our clergy when they retire. There is no question that our priests,having given so generously to all of us for so many years of their lives, should be cared for properly during their time of retirement. The increased numbers of those requiring such support should not have come as a surprise to those in charge of diocesan finance. We have all had to make financial plans and save for our years of retirement. I would have expected the diocese to have done this years ago for our priests rather than wait until we have an obvious shortfall in funds to set up a campaign. What concerns me most is that ordinary parishioners, many of whom have financial problems of their own, are being asked to make yet further contributions to the running of the diocese. You must be aware that in many parishes we now have second collections to help maintain our church buildings some of which are in serious need of repair. I know you say that you only ask people to give what they can afford but the request for support of ill and elderly priests is an emotive subject to which many will feel they have to respond. I hope that other means of supporting our clergy rather than appealing to our already stretched congregations can be found. I’m not sure whether you have been to one of our presentations, but if not, our aim is to explain the background of this shortfall fully at that point, hence it is a case of opting in to find out more. If you would like to let me know in which parish you are based, I would be happy to point you to your closest ‘live’ parish presentation so that you see the full details: the presentation will explain better than I am realistically able in this somewhat limited small space. We hope that it is not wrong for our charity to offer information about its cause. There is a shortfall that needs to be addressed and there are a number of tools we can utilise to raise funds, as other charities do. However, the Diocese is its people and so it was felt by Archbishop Peter that sharing the need with parishioners was an appropriate course of action. There is no intention to make people donate if they don’t want to and we hope that parishioners are willing to engage with the Clergy Support Fund Campaign as they would with any other charity: gathering information for themselves and deciding on a course of action, if any,. There is no heavy handed sell or phone calls: it is a relatively simply campaign with a 98% voluntary structure and a great deal of goodwill from parishioners in 180 Diocesan churches. Every penny goes towards the care of clergy and not towards administration or costs. We are are fully aware of the many good Catholic causes that parishioners generously support and there genuinely is no obligation whatsoever to give. Neither is it our intention to diminish the support that parishioners give to other charities. Many people have a particular cause that speaks to their hearts and I believe we give on that basis, whether that be supporting children, the poor, those facing a humanitarian disaster or something else: it is simply a matter of compassion. 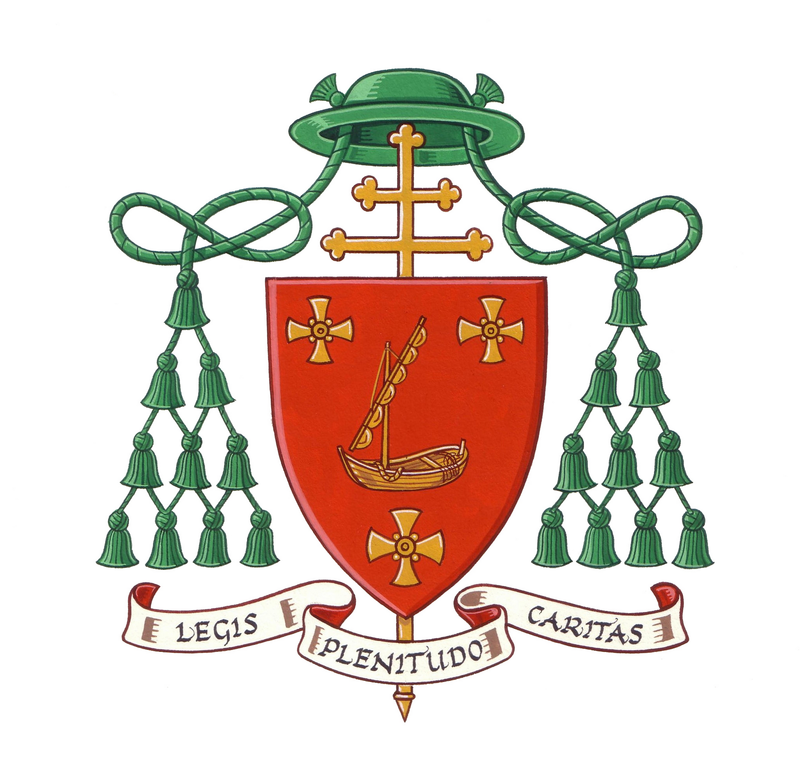 However, if we do not appeal then the Diocese will face an eventual erosion of central capital funds, which in turn will impact on other pastoral projects that it would like to undertake in future years. Most clergy are reliant on the Diocese for their care, since they have no salary and no occupational pension: there has simply never been enough money beyond paying towards the State Pension. The Diocese has considered other routes forward, such as increasing the annual levy, and this has been embraced in other dioceses around the UK, but Southwark decided against this on the basis that it would cause hardship to poorer parishes. You are right in saying that Southwark has been aware of the need to address the shortfall, which has arisen due to the historical pattern of ordinations. It has been planned for a number of years, and after a period of viability studies, the Campaign was piloted in Croydon Deanery during 2012/2013. The Diocesan-wide Campaign was launched in late 2014. Following the recession, I believe this was the earliest possible point at which it was felt that a Campaign would be viable. If you would like a little more information please visit our FAQs and Financial FAQs on this website or otherwise I would be delighted to speak with you or point you in the direction of your nearest parish presentation. Finally, may I just say that I appreciate that some many feel they are stretched financially already and my advice would be to exercise careful judgement and only give in accordance with personal means. Thank you for your detailed response to my comments. I appreciate the time and trouble you have taken. I think my main concern is that no sort of occupational pension seems to have been set up for our priests. It is therefore not surprising that we now have a shortfall in funds for their care when they retire. I have not been to any of the presentations on the subject so I will attempt to do this if I can. For a number of years I attended English Martyrs Church in Strood. Recently I have been attending St John Fisher in Rochester(as the new Mass times at English Martyrs no longer suit me). Although I think that the problem should have been identified and tacked earlier I wish you every success in the campaign which is for a very worthy cause. Thank you for your email, I very much appreciate your good wishes. I think the essence of the problem is the fact that there has simply never been enough money to address the issue and it is not particular to Southwark: you may have noticed in the Catholic Press that many dioceses are having to raise money through funds, most a great deal larger than that of Southwark. On a separate note, Fr Anthony at Rochester is well known to me since he was parish priest at Croydon where the Campaign originally ran during its pilot phase. He is a wonderful priest who is full of joy. I know he will make you very welcome: the presentation at Rochester will be taking place on 6th November at midday in the parish hall if you would care to attend. Regrettably Strood have only just completed their presentations, but if you would like some literature in the meantime please do let me know. Finally, please accept my apologies for any typos in my message yesterday: I can only see one line at a time on my system, so it is quite hard work to read through any messages that I write. With every good wish and renewed thanks.